Online provider of aluminum fence and vinyl fence materials to DIY home owners and small contractors. We also offer installation in and around Raleigh, NC. The styles that you’ll see here are residential grade, but we also have commercial and industrial grades available as well! Our traditional residential aluminum fencing sections have the ability to adjust (rack) up a slope, 26 inches for every 6 foot wide panel or up to 34 inches with our free double punched option. Aluminum fences are the perfect addition to any property. Whether you are looking to add security, improve the physical appeal of your home or let your pet roam the backyard without running away, aluminum fences are a wonderful option. Not only are fences stylish, but they increase your property value. A fence provides a terrific ROI, and our customers can save even more money with do it yourself installation. Our aluminum fencing is easy to install and can be done in a weekend so you don't have to worry about paying a contractor for overpriced materials or labor. Unlike other fencing materials, aluminum does not rust or rot. Our fences are built to withstand the elements! You won’t have to worry about cleaning, preservative treatments, termite protection or other maintenance needs that some fences require. Fortress Fencing, LLC began from a friend’s referral in October 2001. What began as a small, two person operation has now grown into the most reputable brand name in fence for the triangle area. Locally owned and operated, Fortress enjoys the benefits and recognition of a large business with the personal touch of a small company. As our company has grown, the expertise of our work force has resulted in consistent construction across the board. Each builder has been trained with the tools needed for quality construction. No matter residential, commercial, or industrial, Fortress Fencing LLC offers a wide variety of fence styles to meet every need and budget. When it comes to excellent customer service, our thousands of satisfied customers speak for themselves! There is NO DOUBT that Fortress builds the sturdiest fence! CONTACT US TODAY FOR A FREE ESTIMATE! "No Salesmen, No Subcontractors, Just 25 years of quality owner built fencing" I formed Apex Fence Builders in the early 90's after the company in Cary I was working for was sold. Having been a subcontractor for most of the Raleigh and triangle market, I thought it only wise to go out on my own. 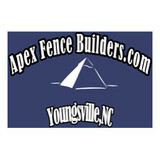 Apex Fence Builders is a full service family owned and operated Raleigh area fence contractor. 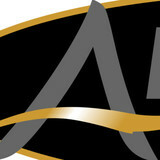 What makes apex fence builders different is the simple fact that I AM the business. I do the sales calls, the fencing estimates and the fence installations. My motto: No salesmen, No Subcontractors, Just 20 years of quality owner built fence. We have been building high quality fencing in Raleigh, Wake Forest ,Youngsville and the Triangle area for years. Being a small business we understand the importance of getting a great product for a great price, not the most profitable for the company! I like the fact that I can work with homeowners to find the right fence to meet the needs and budget of each customer, something a sales person cannot always do. I also like that I am able to see the job through from start to finish, not just stop by when it's time to pick up the final payment. This has earned us an "A+" rating with the Raleigh BBB. Sierra Structures, Inc. was formed when two well established construction companies, Sierra Custom Fence and Outdoor Structures, came together to capitalize on each other’s strengths. Sierra Custom Fence was founded in 1991 by the husband and wife team of Anthony Acosta and Shirley Rimmer. Sierra Custom Fence specializes in residential and commercial fence construction. Homeowners in the Triangle Area and commercial customers spanning the entire east coast have benefitted from Sierra Custom Fence’s expertise and customer service for the past 20 years. Outdoor Structures, Inc. was founded in 1999 by Matt Meashey. His father, Ken Meashey, joined the company shortly thereafter. In addition to residential fence construction, Outdoor Structures is the Triangle Area’s premier builder of decks and screened porches. Outdoor Structures also provides premium quality building materials to homeowners and contractors. Because both companies are family-oriented, we share the philosophy of putting customer service first. No job is too small, we’re large enough to handle your biggest project. Together we offer over 30 years of experience and expertise to give you the peace of mind to know the job will be done right and on-time. We pride ourselves on having excellent customer communication, showing up on time and just doing a great job at a fair price! We take the best care of our customers that we can! Able Fence Builders, Inc. is locally owned and operated. For over 35 years we have focused on excellence in workmanship and service by providing quality materials and expert installations in central North Carolina and Southern Virginia. Customer satisfaction is our number one priority. In fact, it's guaranteed. Our professional staff has the knowledge and experience needed to assist you with custom designing the fence of your dreams. We are fully licensed and insured. Our insurance certificate is available upon request. Affordable Fence Designs is the installation arm for our sister company Aluminum Fences Direct, but now offering a variety of materials in and around Raleigh, NC such as chain-link, wood and railing as well. Being the premier on-line aluminum fence supplier, AFD is committed to customer satisfaction as well as growing market share. Whether you need pool fencing or a new fence for your home or business, we have the quality products you need at the prices you want. Not just aluminum fence, but also vinyl fence, chain-link, aluminum or steel railing and wood fencing as well. Affordable Fence Designs is able to offer superior products at affordable pricing due to our business model. We supply our customers with everything they need… Quality products at an Affordable Price! Superior Fence & Rail is the number one Raleigh Fence Company. We furnish the largest selection of privacy fence panels, security fence panels, and decorative fence panels. And for those customers who are seeking a full service professional fence installation service, our fence installers and craftsmen have the highest levels of training and experience building fences in Raleigh. We maintain a large inventory of vinyl fence, aluminum fence, wood fence, and chain-link fence for homeowners, commercial property managers, and contractors seeking a DIY project or a full service fence installation. Since 1960, Dickerson Fencing has been providing residential and commercial areas with quality and custom built fences. Our family owned and operated business has endured the test of time by being open for over 50 years and spreading across three generations. Since 1996 Dakota Fab & Welding Inc. has produced quality wrought iron and aluminum gates, railings, fencing, and ornamental iron designs for Raleigh NC and the surrounding areas. Our products have been featured many times in "The Parade Of Homes" and "Cary Magazine". We specialize in architectural and ornamental designs, offering hand forging structural and architectural fabrication that meets all required safety codes. All jobs at Dakota Fab are fabricated to the highest standards. We utilize the latest equipment and procedures. We are known not only for fabrication, but also for our outstanding reputation. Your Durham, NC fence installation and repair professional will work with you to create your ideal fence. Find a fence contractor in Durham, NC on Houzz. 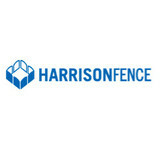 Narrow your search in the Professionals section of the website to Durham, NC fence contractors. You can also look through Durham, NC photos to find examples of fencing and gates that you like, then contact the professional who worked on them.